DIY Butterfly Art Mama Say What?! | Mama Say What?! My almost-two-year-old’s big girl room is butterfly themed— she adores all things butterflies. When I saw this pin, I had to recreate this beautiful DIY art for her bedroom. We love the way this turned out. The watercolor-painted butterflies are beautiful and each one is unique! 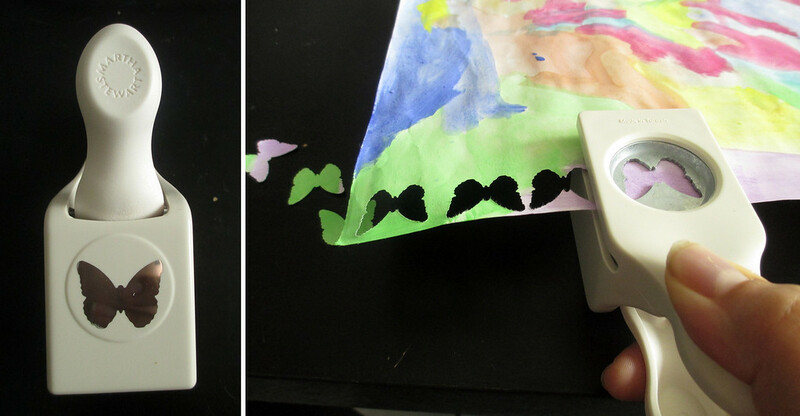 First, have your little one paint a white piece of paper in watercolor. Make sure every inch of white space is covered! No rhyme or reason… just have fun with it! Let it dry completely (we dried it overnight). 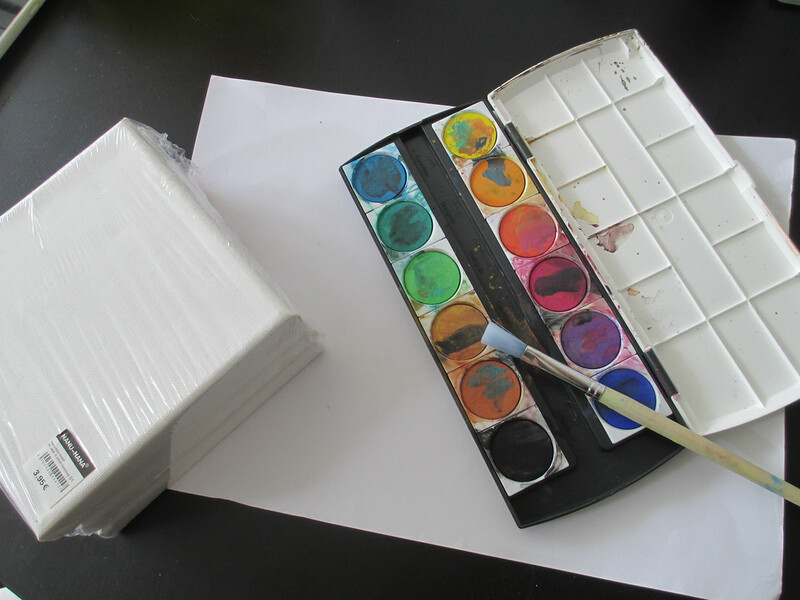 Choose what color you want your canvases and paint them with acrylic paint or fingerpaint. 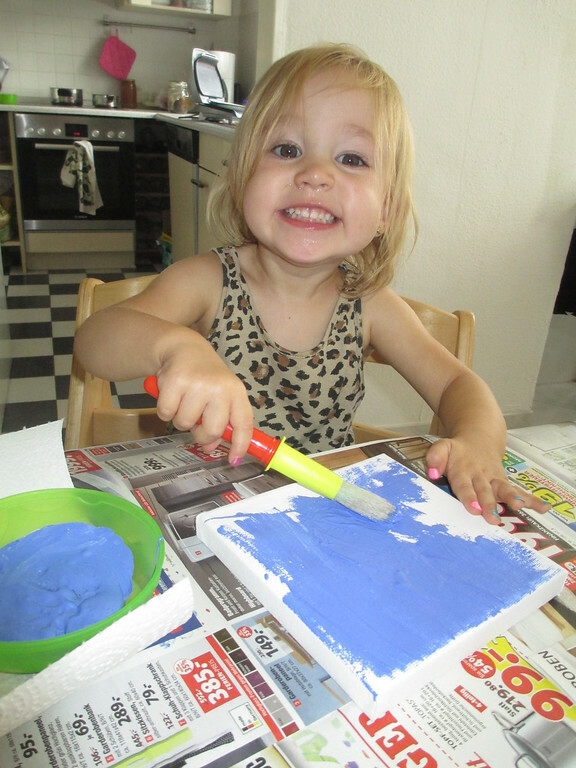 (Fingerpaint is what we had on hand!) 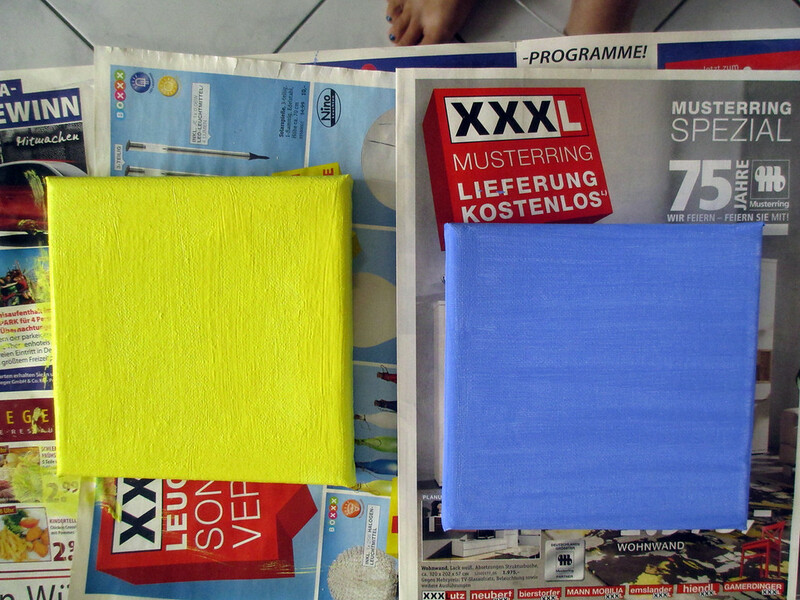 We chose a sky blue and a sunshine yellow. We painted the sides of the canvas as well. We also let these dry overnight. 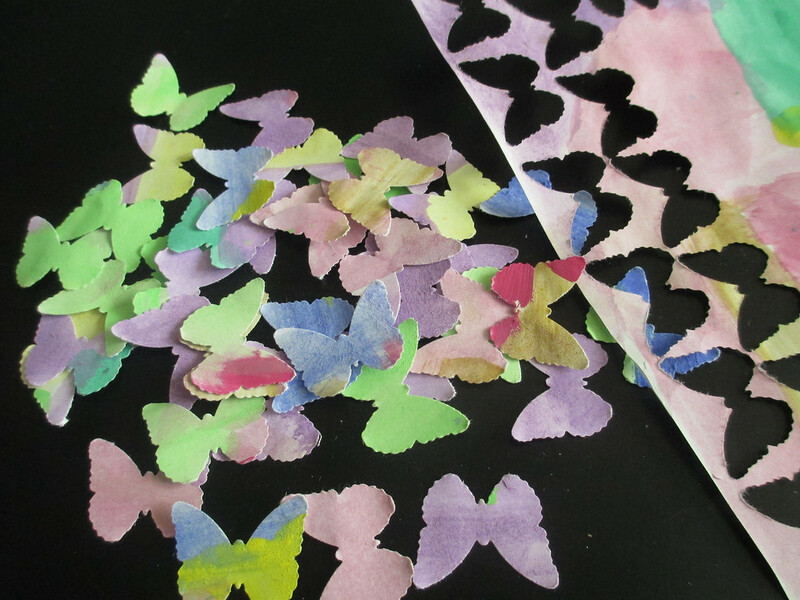 Grab your butterfly punch and stamp out as many butterflies as you can from the paper you painted with watercolors. We got wayyy more than we needed from one piece of paper. We used Martha Stewart’s butterfly punch. 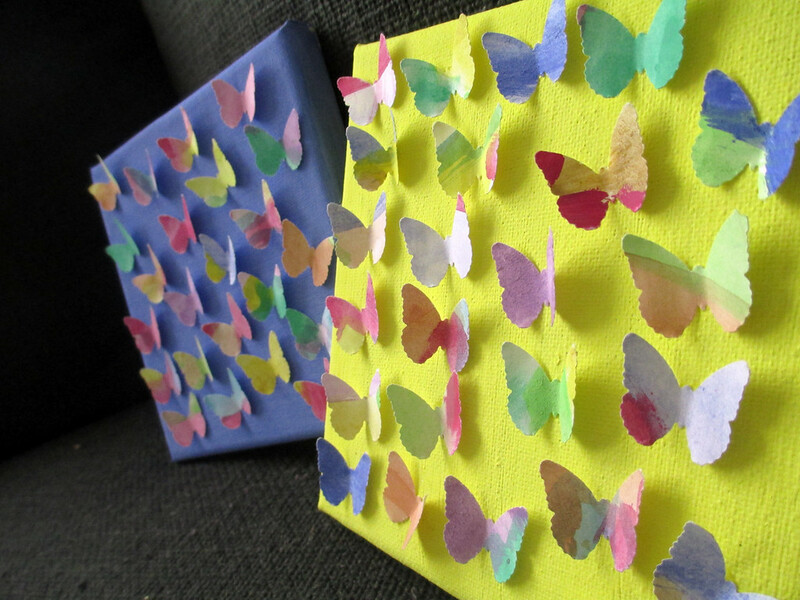 Once the canvases are dry, arrange the butterflies how you’d like them on each canvas. Take a butterfly and pinch the wings lightly. 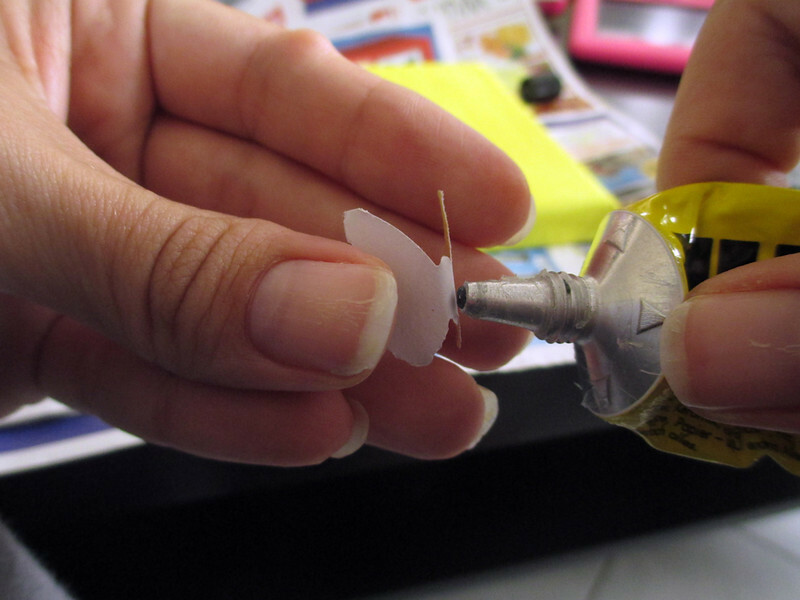 Place just a small dot of glue on the butterfly’s body. 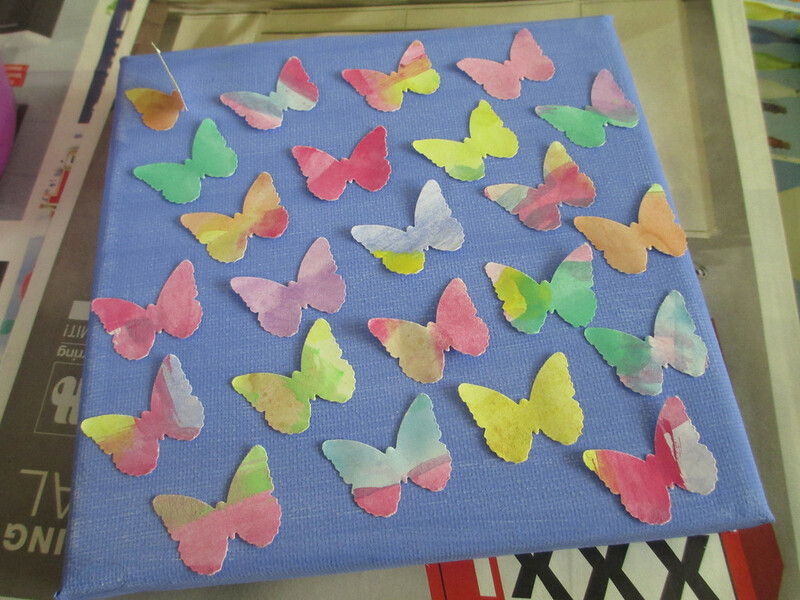 Place the butterfly onto the canvas. 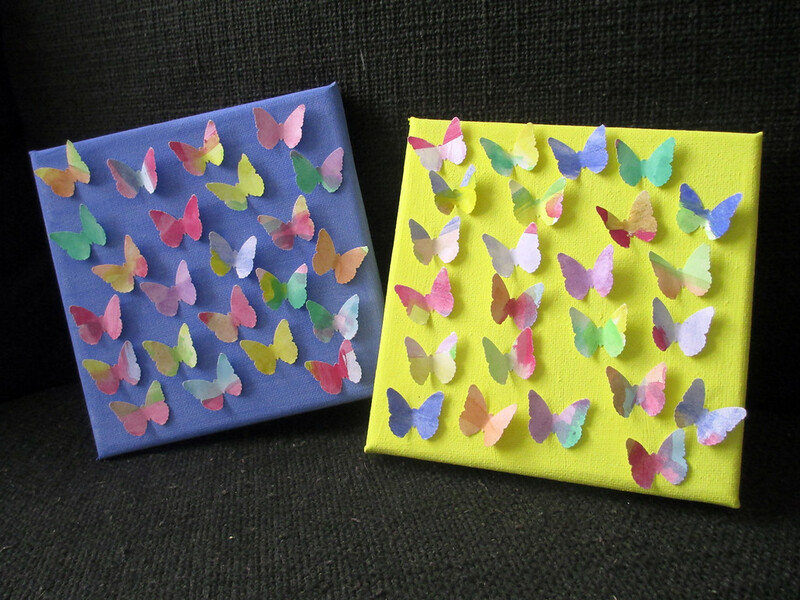 We placed the butterflies to look like they’re all flying to the left, but pointed a few to the right and a few straight to make it look like they’re fluttering. I love this effect! 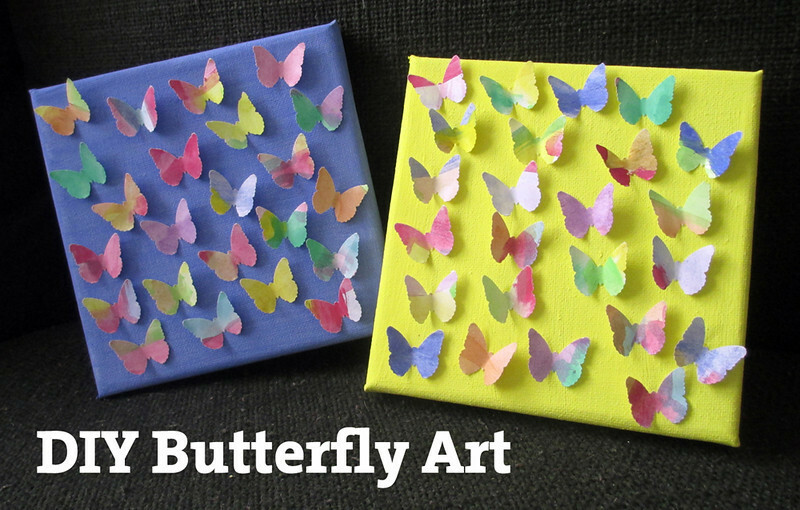 Enjoy your custom, DIY butterfly art! Added by Cassie W. on August 24, 2013. What a wonderful and fun activity to do with your kiddo! And it’s so pretty! Thanks for sharing. Wow, so beautiful. My daughter would love that! Pingback: C's Butterfly Garden Mama Say What?! | Mama Say What?! Love this— can’t wait to decorate our nursery with these if we have a girl!